Having a little kiddie pool in the front yard was only fun for about 2 kids. Get a few more in there and too much water gets displaced and spills out into the grass. Then everyone up and leaves at the same time and you are left splashing your feet around in ankle deep water. A bath is more fun at that point. Today’s Maximumble takes a bite. *Inhales. * OOOOOHHH! Who lives in a pineapple under the sea? Sponebiff Square Pants! Who’s porous and yellow and absorbent as can be? SPONGEBIFF SQUARE PANTS! Who lives in a pineapple under the sea? Spongebiff Squarepants! Absorbent and yellow and porous is he! Spongebiff Squarepants! 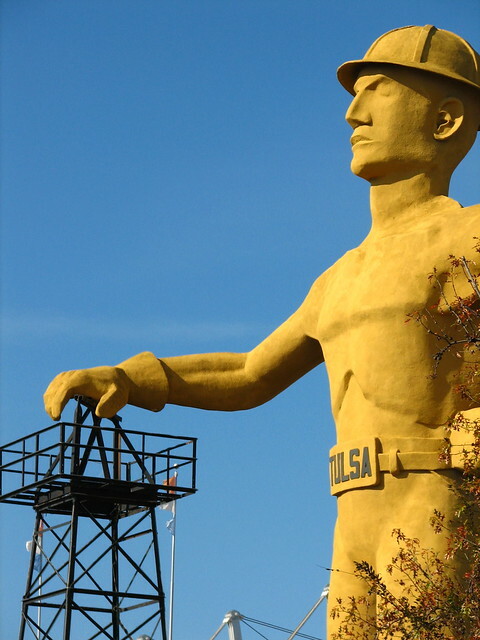 Biff has transmogrified into the Tulsa Driller! He was invited to a pool party by somebody with an above-ground pool. If anything, Biff made the party less of a disaster. 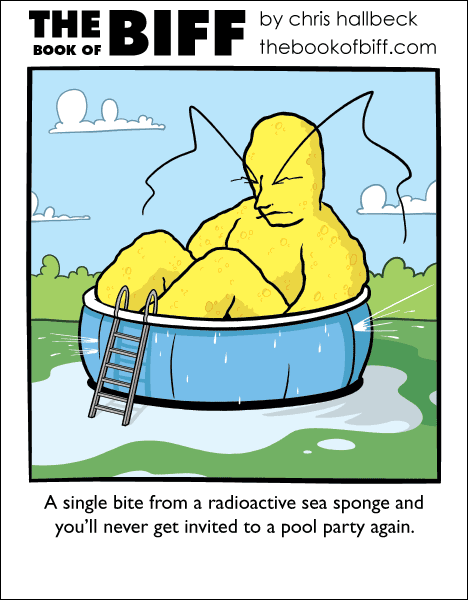 you eat just ONE radioactive sea sponge and mutate into a horrible spongy monster, and they hold it over your head forever!